Day 183 – Alan W.
It’s day 69 of the oil spill and day 6 of me sans computer. 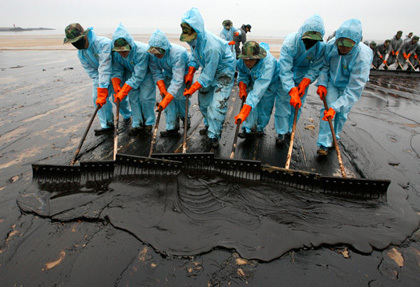 No solution has worked for either the spill or my computer, not that they are anywhere close to being on equal levels of importance. By the way, I have put this Donate option up on the right side of the screen here last week to add donations to what we raised at the DC Get-Together and not a single person has donated to help those out of work in the Gulf. I am surprised given that so many people offer to directly help me or help the recipients whose stories are here. Please help, I want to send the money down there asap. Imagine if half of the readers of the blog would give $10…that would be amazing! As for my computer issues…I mentioned a guy who volunteered his time to help me, however, he went MIA on Saturday and he has not answered my emails or voice mails. I hope he is OK. My brother Ryan was nice enough to help me run hours of tests and try different solutions, but still no luck. So no pictures or video for a while. Sorry. For now I am using an old Acer computer that my sister-in-law let me borrow. It is a very basic machine that can’t handle large files and doesn’t have Windows or Microsoft Office, etc. It runs on Linux. On a positive note, it is good to get some experience using a different operating system. I bought a new hard drive today thinking that that was the problem. I installed it and still no change, so I am back to square one. Anyway…back to meeting the amazing people from my journey! Day 183 was the Worldwide Day of Giving. I did some media interviews that day. In the morning I was on News Channel 8’s Let’s Talk Live and then in the afternoon I was on CNN with Ali Velshi. Both went well. My dad went with me to CNN’s studios. I think he enjoyed that. On our way home he gave away his $10 for the day to a nice guy named Tony. His story is on Facebook here. Later I went to the DC Get-Together for the Worldwide Day of Giving. A lot of people were able to come and we had a great time. Several TV stations came to cover the event. A nice surprise was seeing Jay Korff and Mark Bautista from ABC and Kate Michael from KstreetKate.net. They have shared my story with their viewers over the last couple months. Some past recipients who attended were: Anthony, Tommy, Sammy, Danny, Molly, Ashley, Mark to name a few. So, as the celebration began to wind down, I headed over to the bar area and found Mark chatting with a friend at the bar. About the same time I realized that with all the excitement of the day, I had not given away my $10 yet! I didn’t recognize the guy Mark was talking to so I thought, let’s see if he is willing to accept my $10! It turns out that Alan is actually staying on Mark’s couch this week. They met through www.couchsurfing.org, a worldwide network for making connections between travelers and the local communities they visit. Originally from Reading, England, Alan came over here for his brother’s wedding in Denver and plans to stay for a bit and open a subsidiary office for the geothermal energy company he works for back in England. Then he plans to go to Ushuaia, Argentina and bike 11,000 miles to the US. If such a journey sounds familiar, you might recall that an earlier recipient was planning to make almost the exact trip only in reverse from Prudhoe Bay, Alaska to Ushuaia, Argentina. Here is the wild part of this story. That previous recipient was Mark! That’s right, without knowing it, Alan ended up staying on Mark’s couch, neither of them previously knowing that the other one was planning to make a very similar journey. Not only do they share this same dream, Alan has already made a similar trip that is absolutely incredible. He bicycled 13,000 miles from London, England to Cape Town, South Africa. It took him only 348 days to complete the journey. That is a hell of a trip! Check out the details here. The English are known for their beer so I thought I would ask him if he had a favorite English beer. He didn’t show any strong favoritism to any one in particular but offered up Newcastle Brown. Other tidbits about Alan that I found interesting are that he has met the Queen of England, thinks Philadelphia is the best city in the US that he has visited and thinks that newly elected Prime Minister, David Cameron, looks like the twin of the new Deputy Prime Minister, Nick Clegg. I took some video of Alan which I hope to post when I get my computer problems resolved. We said goodbye and parted ways. He was leaving in two days to go to New York. I just found out on his blog that he has had to return to England to get the proper visa to stay here and work to help set up the subsidiary office for his employer. Note: Here is a blog entry that Alan posted which includes our encounter where he received the $10. Day 182 – Isaac J. It was a Monday as I walked along Martin Luther King Jr. Avenue in Anacostia, part of DC’s Southeast quadrant. My neck turning red as the sun’s heavy rays beat down on me. The bricks of many of the houses and buildings along my path no longer hold the rich red color they once did. Isaac walked by me as he headed toward the Metro which was about five blocks away. 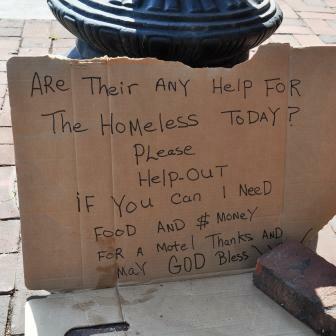 Something about him struck me and I doubled back and caught up with him and asked him to accept my $10. He stopped dead in his tracks and looked at me as if I had just spoken to him in a foreign language. I sometimes forget how unusual this year-long commitment is. Sharing that he has heard of my project either in the Washington Post or on the local news, he agrees to be my 182nd recipient. The 32-year-old was on his way home from a trade school where he is learning the fundamentals of carpentry, plumbing and electrical work. With less than a month left of schooling he still is unsure of what he will do when he finishes. Our conversation takes us back in time to when Isaac was a high school student at Chamberlain High School in Southeast. As a young adult Isaac got involved in some things he shouldn’t have which culminated with him receiving a three-year sentence at the McKean Federal Correctional Institution for cocaine distribution related charges. Released in February of this year, Isaac is trying to pull his life together. “Things happen in prison you know, but you just mind your own business and try not to get in the middle of nothing,” Isaac says of his time in the Pennsylvania penitentiary. While an inmate, he tried to improve himself by completing his GED and taking computer courses. “I would like to get a job working with medical records or something like that.” He goes on to say that he has been thinking about enrolling in the University of Phoenix to further his education. My conversation with Isaac covers the whole spectrum of life. He shares with me that he might be a father. There is a DNA test in progress to determine whether he is the father of a soon to be three-year-old girl. I did the math and determined that if he did father the child then it must have been right before he was incarcerated. “I don’t know. The test will tell,” he says. As the weight of the world settles on his shoulders, Isaac is also faced with finding a job. Areas which he says that he would be interested in working are: food service, home or office cleaning, building maintenance, handyman and inventory restocking. My heart literally hurt when he told me that he was going to buy cigarettes with my money. I try not to judge people on their decisions of what to do with my $10, but to buy cigarettes is a painful reminder of the heart disease that took my mother’s life. I felt the same way when Matt from Day 10 told me he was going to get some Marlboros. I have been against smoking ever since I can remember, but I have to accept his choice. I hope some day you are able to quit Isaac. I finished asking questions and took a few photos. I walked with Isaac all the way to the Metro station. I really enjoyed talking with him. He is smart and easy to relate to. As we entered the Metro station I asked him where he was heading. “I’m gonna stop by my mother’s house.” The thundering sound of the Metro train coming into the station erased all other sounds. He shook my hand and disappeared into the crowded Green Line train headed for Branch Avenue. Day 181 – Ashley H.
OK, I am really behind now on my blog posts. My computer is dead. My brother and I spent all day trying to fix it yesterday. I think the hard drive is shot. It might take me a couple of days to confirm that and then get the problem completely fixed or get another computer. Thanks to all who offered to lend me laptops. Maybe some company out there will be inspired to give and help me out with a new one! Feel free to send letters to your favorite laptop manufacturer! Before I share with you Day 181’s recipient, I would like to update you on Kenneth B (Day 30). 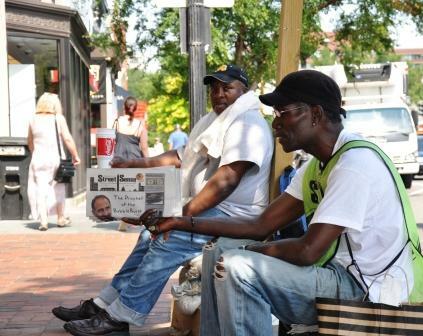 Kenneth has been selling the Street Sense newspaper at the north entrance to the Dupont Circle Metro for two years. Unfortunately I recently learned that Kenneth will have to miss about a month or two due to some medical problems. I see him all the time and he loves serving his customers. I went to visit him the last day before he took time off and he shared with me some financial concerns that he had due to the month or two that he will be out of work. 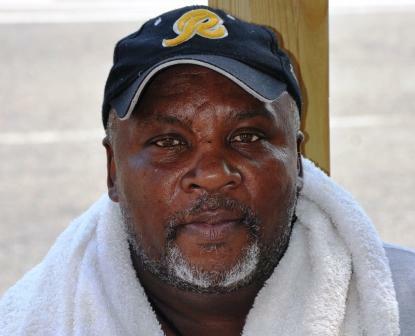 If you would like to help Kenneth out (or any Street Sense vendor out for that matter) you can send a donation to him via Street Sense’s website. In the special instructions field, please indicate what percentage of your donation you would like to go directly to Kenneth and the great team over at Street Sense will make sure he receives it. Thanks for keeping Kenneth in your thoughts. So Day 181 was the Sunday before the Worldwide Day of Giving. As I passed the Starbucks near my house I saw a young lady sitting on their patio studying flash cards. I haven’t seen somebody using flash cards for years. Full of intrigue I stopped and introduced myself. Ashley is a 22-year-old recent graduate of the George Washington University and is studying to take the GRE exam. Tonight she is focusing on her vocabulary by studying words like “dirge,” disabuse” and “dissemble.” I took a shot at about a half-dozen words and was embarrassed at how dreadful my vocabulary knowledge was. Ashley is quite smart. Although she plans to leave for a Peace Corps assignment this fall, she wants to take the test now while her education from GWU is still fresh in her mind and then use that score to apply for graduate study upon her return from her stint overseas. I think the test results are valid for five years. I asked her what interested her about the Peace Corps. “I love exploring. I want to serve my country and be a good diplomat of the United States.” Ashley was actually supposed to have already left for her tour however her plans got delayed several months after a less than perfect Lasik eye surgery. She explained that she very well may have to have additional procedures to correct the situation. “I think I am going to opt for “PRK” which is much more painful.” Sorry to hear that Ashley! In the mean time she picked up a second job at a restaurant. I asked which one and would you believe it was the same place I had chose to hold the Worldwide Day of Giving celebration two days later! Small world. When she is not working, this native of Rapid City, South Dakota likes reading, good food, good wine, coffee, dancing and exploring other places. She has traveled extensively and tells me a little about her trips to Syria, UAE, Egypt, Lebanon, Pakistan, Israel, Jordan, Turkey and Thailand. With all the travel it’s no surprise that she has picked up some Arabic and even some Spanish. I asked her what she was going to do with the $10 and she said that she was going to give it to somebody on the Worldwide Day of Giving. And she did! Not only did she give her $10 to a young man named Aziz on June 15th, but she invited him to join her at the Get-Together we had in DC that evening. Aziz came and I got to meet him as well! Update July 30, 2010: I finally was able to upload the video that I shot when I met Ashley. Day 180 – Alex B.
I have some bad news. My laptop may have completely died. I am going to make some last ditch efforts, but it doesn’t look good. I am using a public computer right now and will try to continue posting when possible. I will not have any pictures or videos until I get some things figured out. I came across Alex on a Saturday while I was delivering some donated items to Tommy from Day 155 (he was so thankful for all the love that has poured out for him). Alex was sitting on a crate just a few feet away trying to find some relief from the sun’s sweltering rays. But this is all in the past. Country seems to be doing ok now. “I don’t got another run in me, not at this age,” he says pulling his lips tight together. “I don’t do no drugs no more. I ain’t gonna lie to you though, I have myself a beer or two in the evenings.” He tells me that he is being extremely honest with me. “People lose interest with ya when you lie to ‘em,” he says as he wipes the sweat beads that have formed above his brow. It’s warm and the air is thick. He talks about his life now compared to before. 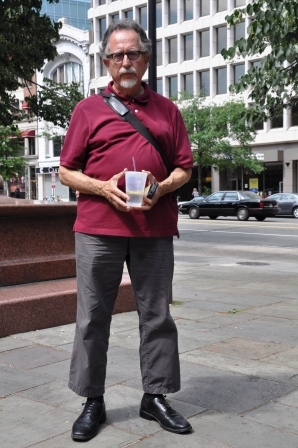 “You get to a point where you need to find a higher power, whatever that is.” Despite his efforts he says that he cannot find work and comes out to ask for money in front of the CVS at the corner of M Street and 29th Street in the affluent Georgetown neighborhood. Country says that he would like to get a job doing construction, something he has done in the past. “I need some tools though, nobody gonna hire you if you show up with nothing.” He tells me that he needs a pair of size 10.5 wide steel toed work boot, carpenter’s tool belt, and a long steel claw hammer. I told him that I would put that on my Lend a Hand section and see what we could do. Country was going to use the $10 for bus fare. Update July 7, 2010: I recovered some of the files and added pictures and the following video. He has some great comments! First of all, happy father’s day! From time to time I look up some of the statistics of the blog. What would you guess is the number one word searched upon that leads people to the website? Giving? $10? Reed Sandridge? Nope, the number one word for weeks now is “Mohawk!” I have no idea why. I went to Google and typed in Mohawk and the Year of Giving doesn’t come up. I did mention mohawks on Day 13 when I was sharing that Davie from Day 5 offered to give me a haircut to thank me for helping him out…that was one style that he said he was good at. Anyway, today’s story is slightly different from most. I grabbed a cab over to the Courthouse area of Arlington. 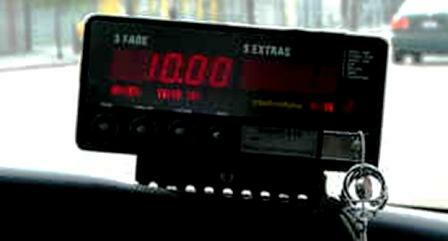 I thought I might give the cab driver my $10. His name was Ismael. A 54-year-old immigrant from Ethiopia, he has lived in Virginia for the last 21 years. I asked Ismael if he would accept my $10, but he said that he couldn’t. I asked him to humor me though and tell me what he would do if he found $10 or somebody randomly gave him $10. “I would pass it along. If I don’t earn the money then I don’t think I should keep it,” he said. I really wanted to give Ismael my $10 and figured that he couldn’t stop me from giving him the money. We arrived at my destination and the meter read $10. I would have normally given him $12, but decided to give him $22 and include my $10. I thanked him, wished him good luck, and handed over the money and my Year of Giving card. 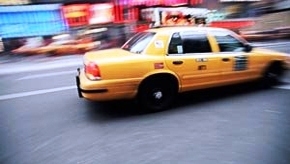 Then I quickly jumped out of the cab probably like those individuals he had told me about and entered the restaurant where I was meeting some friends for dinner.